The graphics here are displayed here at 50% the original size (so it may look a little fuzzy). Click on the graphics to view the actual size. But once you set the graphic as Background Wallpaper, it will look very cool. Select the graphic size (640x480, 800x600, 1024x768) you like to use for your desktop wallpaper. Right click on the graphic, Set as Background. 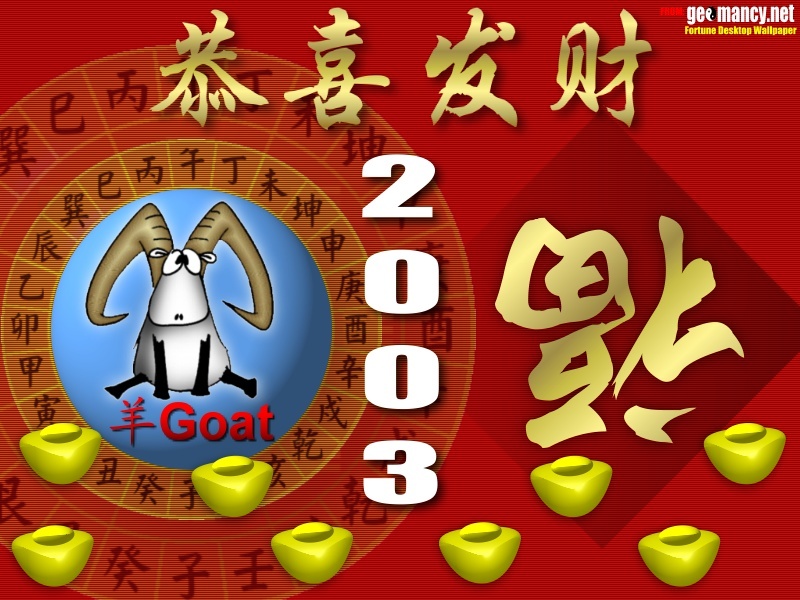 Your desktop should then display new Year of the Goat - Gong Xi Fa Cai wallpaper! Wishing you Good Fortune in the Year 2003! Alternatively, you can dowload the images to your desktop by clicking on the graphic and set it manually.